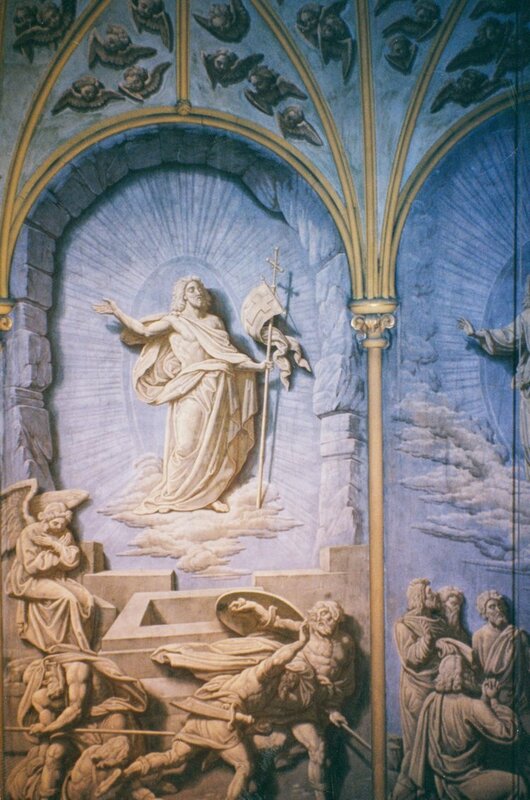 The elaborate Grisaille paintings gracing the walls, side altars, and apse are by artist Daniel Muller. They were created using secco fresco and distemper paints both of which become fragile and over time. Delaminating plaster further deteriorated the decoration. The ceiling architectural detail is achieved using trompe l'oeil techniques, "tricking the eye" into thinking that flat surface is actually multi-dimensional. Our artists and conservators maintained the illusion, stabilizing and perserving the fine sacred art for future generations.